Herringbone is a V shaped weaving pattern that is used to apply for fabric. It is attractive design that can also be used in so many other things. For example, you can upgrade the ideas of pallets creation making a herringbone bench or table with pallets wood. Just purchase and collect pallets wood stripes in different colors and textures. 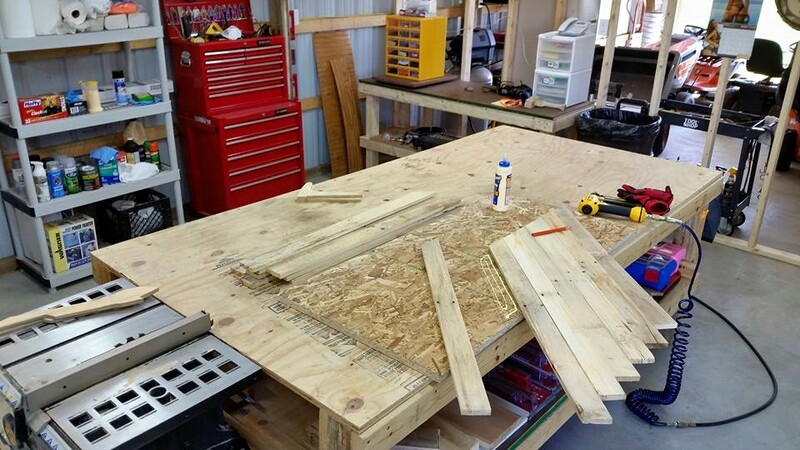 Create the entire measurements and structure of bench or table you are going to make with pallets wood. Now do some handy works to cut the pallets wood into stripes to joint as V shaped. 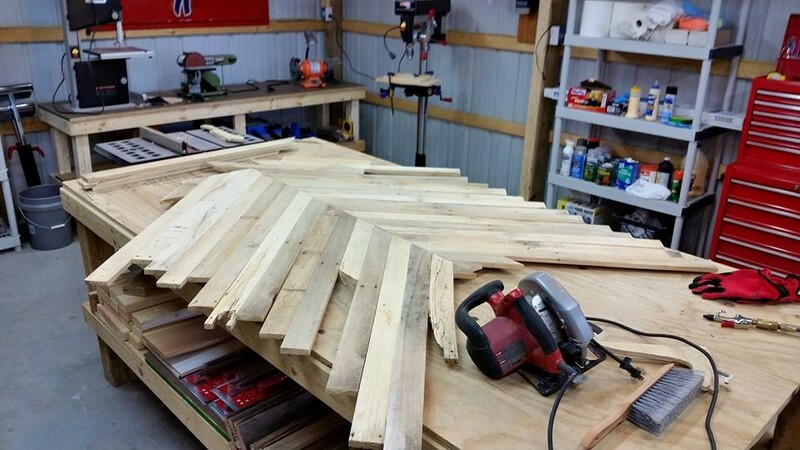 For this, you would have to cut the pallets stripes in equal measurements. 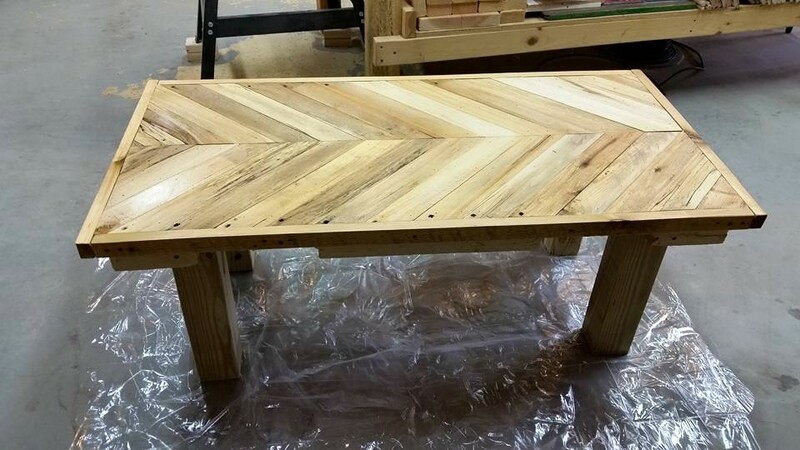 Create the outer boundary and standing legs of herringbone table and keep jointing the pallets stripes in a sequence. Your pallets creation is now ready. Let it free from any paint, polish and color as it will give a rustic and natural herringbone look in original color of pallets wood. 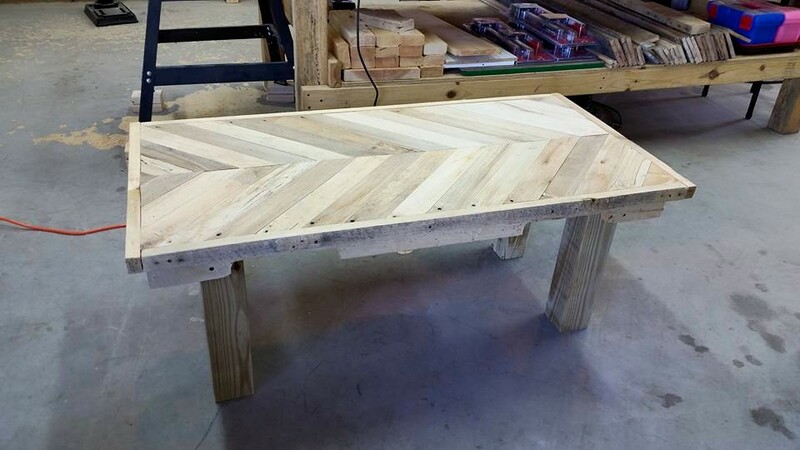 This is all about work to do with pallets wood to make a stylish and attractive herringbone bench or table. Herring bone bench or table can be used for many purposes. For example, you can place it in your home garden as serving table, it can work in kitchen to do some kitchen tasks or place kitchen items. It can also be used to place in home as mental piece table. Whatever you want to do with herringbone table, it would be very nice creation of pallets wood.